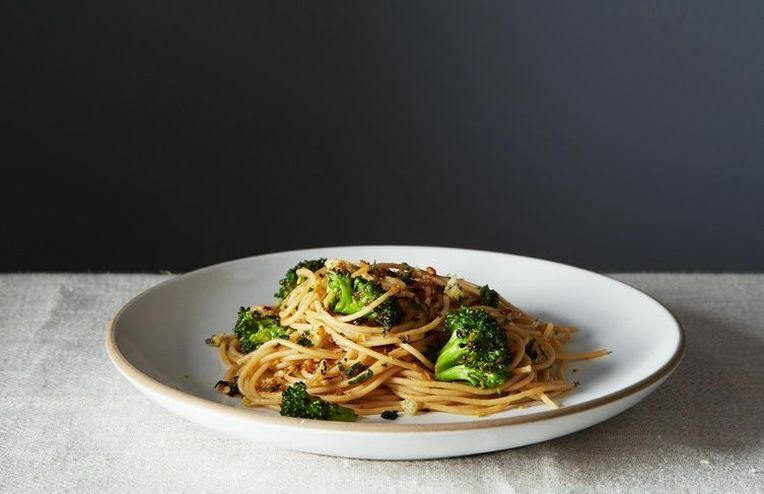 Why you should love whole wheat pasta for what it is, not what it isn't. From the forthcoming Hot Bread Kitchen Cookbook, a tale of chapatis and finding a home in the kitchen. Erin shows us how to make better, heartier loaves of bread in 2015. Heidi Swanson of 101 Cookbooks the classic Christmas cut-out cookie a rye flour and cream cheese dough (and a lot more personality). Look beyond all-purpose flour and give whole wheat the power. The internet-famous whole wheat chocolate cookie. When you want to know things about bread, ask Chad Robertson. To celebrate today's release of Tartine 3, that's exactly what we've done. A whole wheat pita to complete family dinners and brown-bag lunches alike. Gena gives tips and menu ideas for entertaining a vegan friend, and also introduces Penne with Sweet Summer Vegetables, Pine Nuts, and Herbs. Nicholas has come to terms with feeding his children pizza for breakfast -- you should too.